You can pick up your copy of the magazine in the U.K. in leading outlets, including Harrods and Selfridges, in London airports, and Sainsburys. International distribution includes UAE, Australia, Canada, Hong Kong, Cape Town, Monaco, Paris, Germany, Singapore, USA, Belgium, Switzerland, Ireland and New Zealand And Barnes and Nobles Stores in the USA. To download the full interview, please click "here". To download a digital version of the magazine, please click "here". 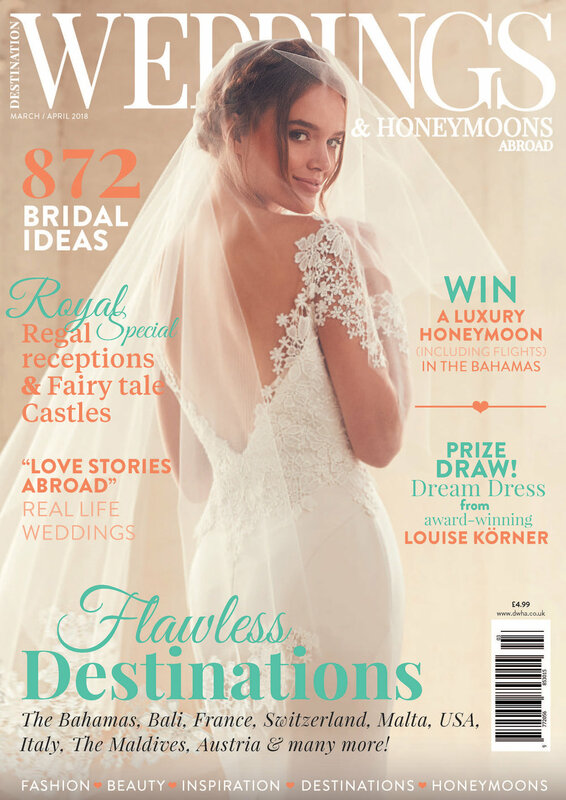 "Female Globetrotter" in "Destination Weddings and Honeymoons Abroad"